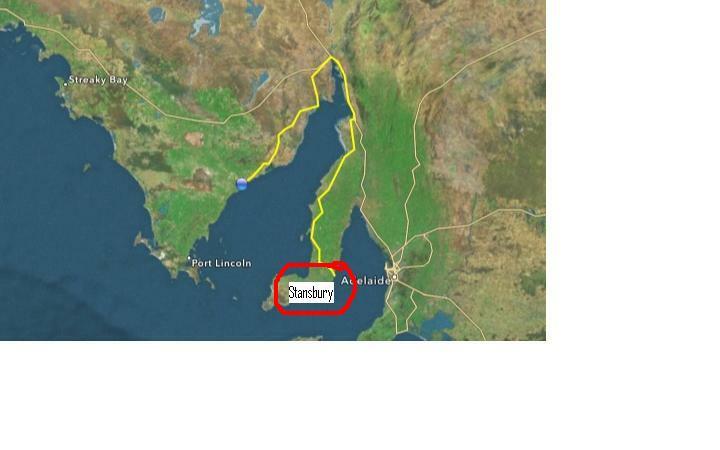 Our next week is spent travelling to Stansbury on the Yorke Peninsula, our base for Christmas. We stop at some of our favourite and typically quaint small fishing villages on the way, including Arno Bay, Port Germein, Port Hughes and Port Victoria. Most of these villages have their own jetty allowing the hunt for squid, whiting, herring and blue swimmer crabs to continue. There are also many examples of the attractive local architecture, especially the many stone buildings. Port Germein is the home of the longest wooden jetty in the Southern Hemisphere, at 1.5 kilometres. Whilst the best Cornish Pasties can be fount at Moonta / Port Hughes, due to the history of Cornish tin miners who came to the area in the 1800’s. Occasionally, the crab net turns up with a surprise – take a look at what turned up in ours, below. Turns out they are fiddler rays.